Home Music Abandoned Puppies Running Towards Their Mom…A Capybara? 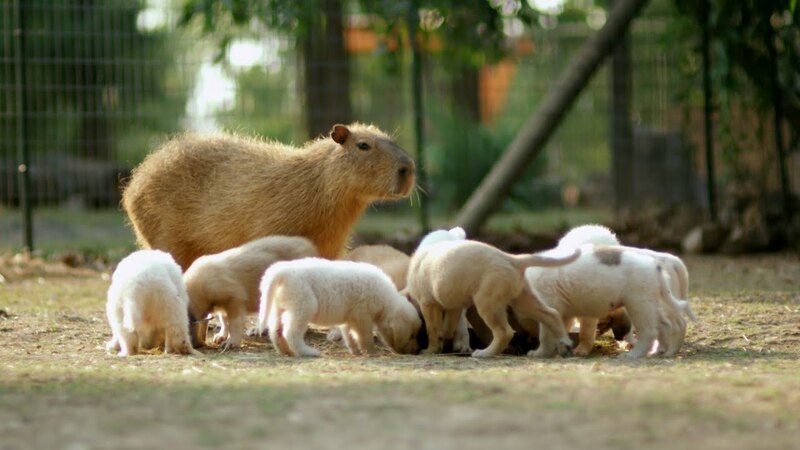 Abandoned Puppies Running Towards Their Mom…A Capybara? A mother’s instinct knows no bounds! Cheesecake the Capybara at the Rocky Ridge Rescue shelter in Santa Clarita, CA, raises a litter of adorable puppies like they were her own.